So I have to confess something. I’m a lasagna hater. I know weird right. Like it’s the one pasta dish that I could pass on, just because. There is no rhyme or reason why I’m not a huge lasagna lover it’s just always been that way. 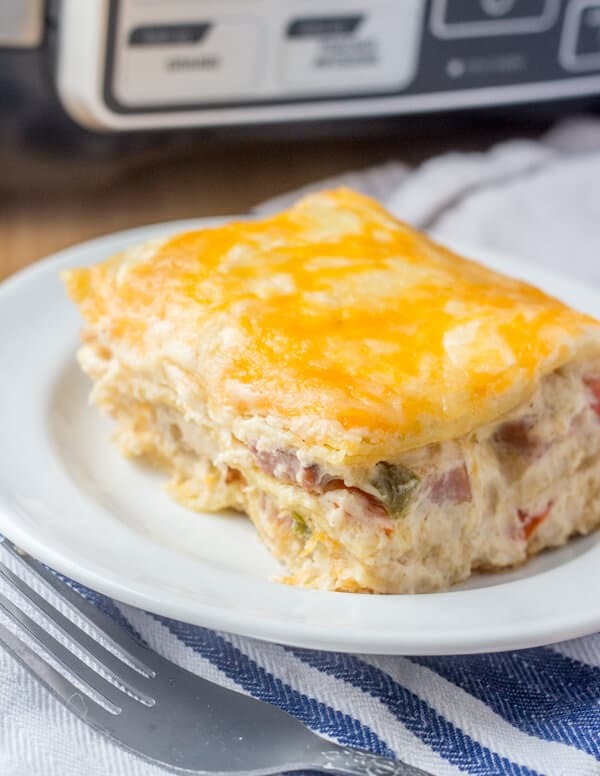 So I have been on the quest to find and make a lasagna that I adore and a while ago I created this Cajun Lasagna and we’ve been loving and making it ever since. My family is hooked. My husband once told me that if I didn’t put it on my blog that he was going to start a blog and put it on there and I would regret it. Well, now you have it! I made this recipe around Thanksgiving this year and with all the prep I was seriously out of oven space. 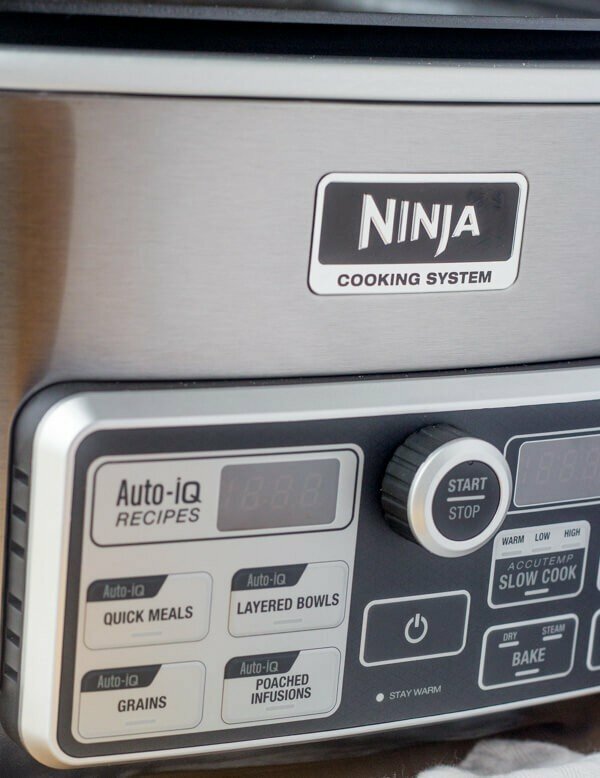 Luckily I had this amazing Ninja® Cooking System with Auto-iQ™! 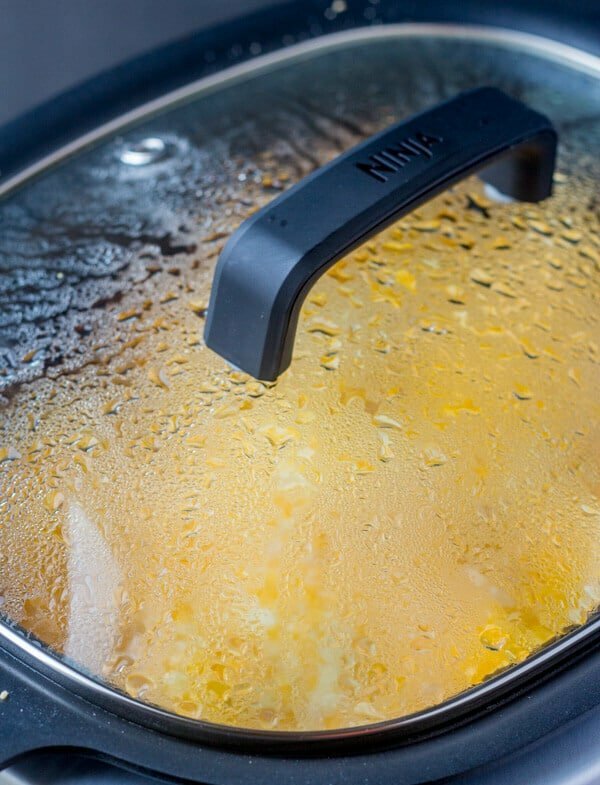 This is a multi cooker with steaming, slow cooking, stove top and oven options. So hello lifesaver. Now with this Cajun Lasagna I used the oven option super simple. I gave the inside a quick spray on non-stick cooking spray, layered my ingredients pressed the dry bake option and it let me select my temp (which ranges from 250-425) and time and it cooked for me, worry free. It also shut off the temp once done and it’s Auto Stay-Warm function kept it nice and toasty for me. Now that’s something my oven won’t do. I’m super excited to try out all of its other functions. My husband used this bad boy to roast a duck using the steaming rack and baking option this year for Thanksgiving and it came out perfectly. I’ve never had duck before but the Ninja Cooking System with Auto-iQ totally did it justice. Now let me tell you a little bit about this delicious Cajun Lasagna. 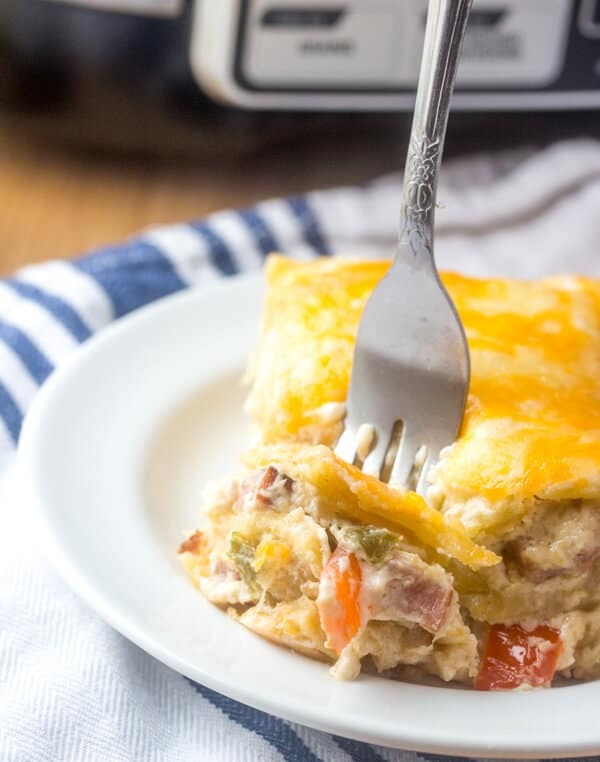 Layered with smoked sausage, peppers, chicken, Alfredo sauce, onions and cheese this lasagna is BURSTING with flavor! Literally the best lasagna hands down, but I’m biased. I totally encourage you to try it out! 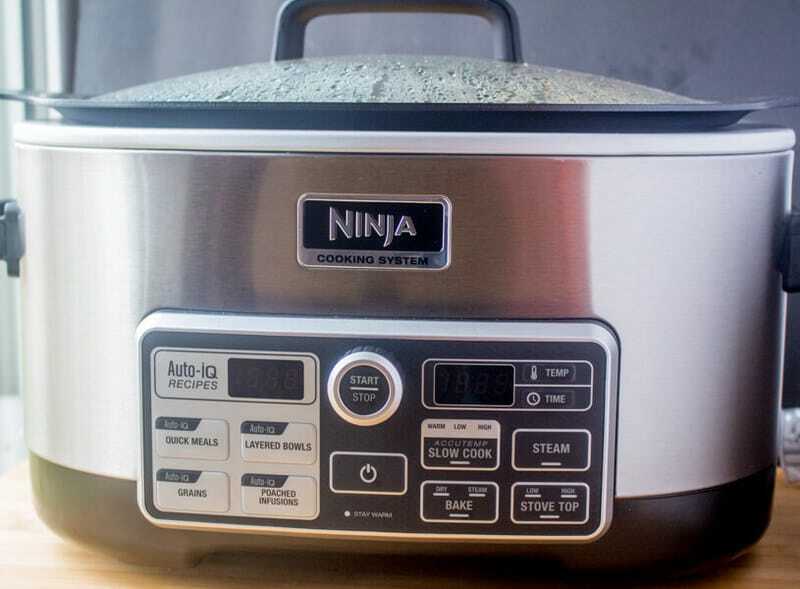 I also encourage you to go get yourself one of these Ninja Cooking System with Auto-iQ. Use my code ALLI15 to receive 15% off your very own Ninja® Cooking System with Auto-iQ™ – good from now until Dec. 31. This multi-cooking system gets the Tornadough Ali seal of approval. Trust me I have so many different slow cookers and steamers where in this one gadget I have everything I need to make what I can. And the plus side, this Ninja Cooking System with Auto-iQ can make baked goods!!! SOLD! 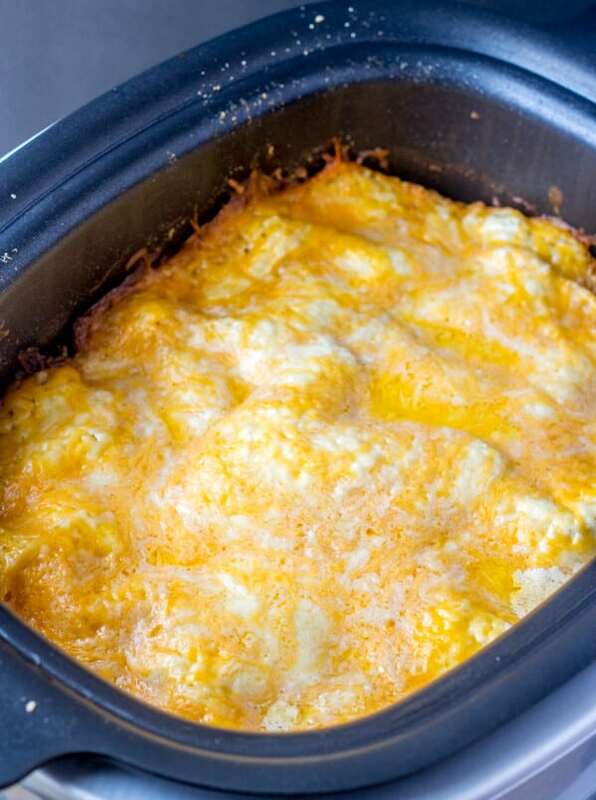 In a large skillet over medium-high heat, combine sausage, chicken and cajun seasoning. Cook until chicken is no longer pink and juices run clear. In same pan saute onion, peppers and garlic until tender. Remove from heat, and stir in cooked meat, set aside. 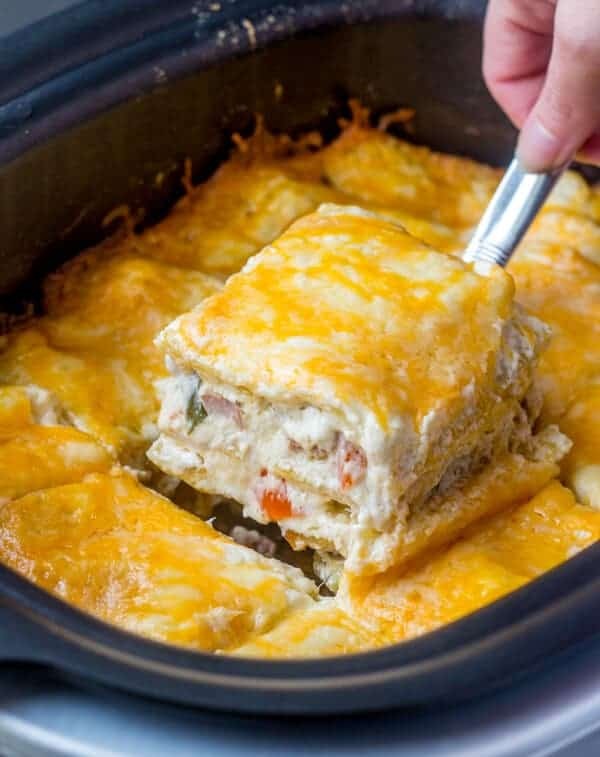 In large sauce pan make your sauce by adding your butter and heating until almost melted, add in your cream cheese and whisk until melted. Pour in your heavy cream, parmesan, garlic powder, cajun seasoning and salt and pepper and whisk until melted and combined. Pour all but one cup into your pan with your meat and peppers. Spray your Ninja basin with non-stick cooking spray. Layer about 4 noodles on bottom of basin and spoon 1/3 of your sauce/meat mixture over the top and sprinkle with 1/3 of your mozzarella cheese. 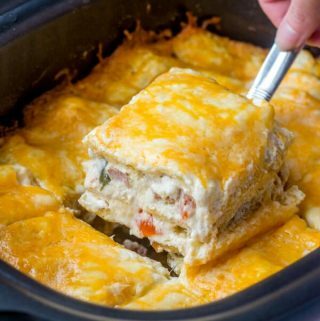 Repeat your layers making sure to add pasta as the top layer then pour remaining reserved sauce over the top and sprinkle with your Montery Jack cheese and parmesan. Cover and press your bake dry function and set heat to 325 and bake for 1 hour 25 minutes. Once done slice and serve. If you're waiting to get your Ninja, you can also make this in a 9"x13" baking pan covered with tin foil. Remove foil the last 10-15 minutes to brown top if desired.